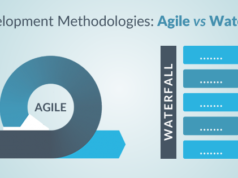 As the agile methodologies have shown a whole new way of IT project management, the certified agile practitioner has gained significant importance for running successful projects. There comes the craze for PMI-ACP certification preparation which is the most recognized agile project management certification across the globe. This cross-domain agile certification has correctly matched the need of standardization of agile process which the agile community was longing for some time. 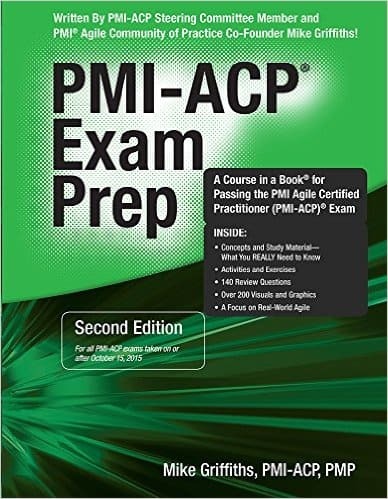 Not only project managers, but also for agile developers the PMI-ACP exam preparation is a giant leap towards successful agile implementation. However, the PMI prescribed course outline is vast and effective PMI-Agile certified practitioner certification preparation is the only key to crack the exam even if you have agile experience. Thus in this blog, we have detailed the facts about PMI-ACP Certification Preparation which will surely give you a good idea on how to prepare for PMI-ACP certification exam and work instrumentally for your next PMI-ACP certification preparation guide. 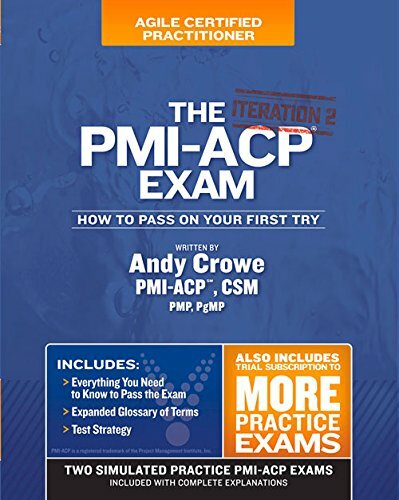 How to Prepare for the PMI-ACP Certification Exam? PMI-ACP is one of the top Agile certifications that has gained popularity among agile professionals. It’s difficult as well, so one needs to study hard and prepare well to pass the PMI-ACP certification exam. 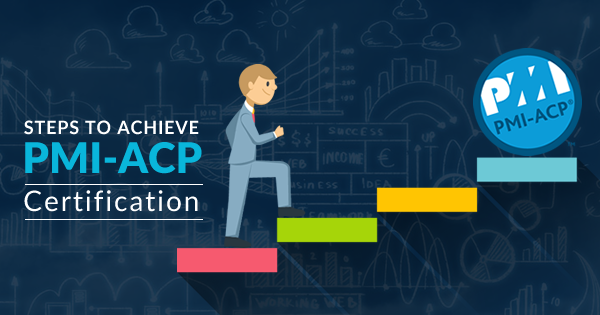 To help you in your PMI-ACP certification preparation, here we bring the step by step preparation guide for the PMI-ACP certification exam. Let’s get ahead. The PMI-ACP exam blueprint provides the topic areas covered in the exam. The percentage weight of each area determines how many questions will be allocated from that domain. You can mark the current question as ‘Later for review’ if you are not sure about the answer at that moment. However, unless you mark them as reviewed and unmark, you won’t be able to click the submit button. These are pretty straightforward questions that you can easily answer if you are well-versed with the agile concepts and topics covered in the course. Here one point should be remembered that you must refer the latest handbook as PMI keeps changing their exam outline time to time. However, the number of straightforward questions are few. Hence, you should be prepared for other types of questions. These questions constitute the tricky part of the exam, and interestingly most of the questions in the exam are scenario-based. Here you will be given some scenarios which project managers often face in the real time, and you need to answer how you will handle such scenarios. Moreover, PMI expects you to answer in the PMI way. What does that mean? They want to check how you will handle the problems following the PMI-ACP principles. However, it could not be a feasible case to case basis in real life. However, as you are appearing PMI prescribed exam so better to showcase the recommended way! The third type of questions contains too many information but only a key sentence that is relevant to the problem. This is to confuse the examinee and to check their logical aptitude. So, be careful with these questions and only focus on the key sentence. PMI-ACP certification exam checks your theoretical as well as practical expertise and no doubt, no exam preparation could be completed without good books. Books are the primary resource which gives us core concepts in a more detailed way. 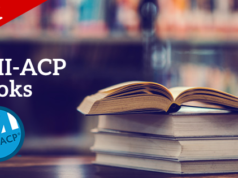 Similarly, the following are the 5 books that you must consider as an excellent guide for PMI-ACP Certification Preparation. This is a reference guide from PMI-ACP and provides all information regarding the exam. It is available online from the PMI website in pdf format, and you must go through this handbook before appearing for the exam to cross check all the information related to the exam. This book is also available in the pdf format at PMI website, and a must follow book for the PMI-ACP aspirants. It provides related information on the exam blueprint, the domains, subdomains, and tasks allocated to each domain. 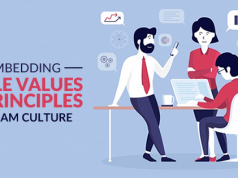 Besides, it gives a detailed understanding of the agile principles and concepts associated with each task. 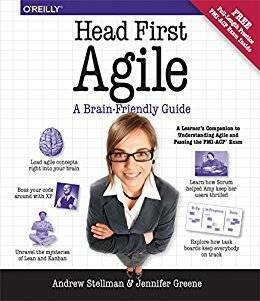 This is the best book to read on Agile principles and development. 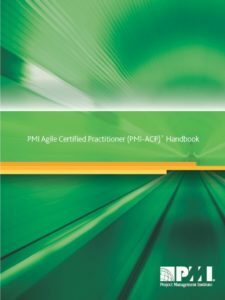 Furthermore, one should refer to this book not only to pass the PMI-ACP certification exam but also for better development knowledge on agile, its techniques and different tools. This book is more exam oriented and along with theoretical coverage it provides ample test papers along with solutions. As the name specifies, this book helps you to pass the exam on the first attempt. If you get easily tired with long theories and want something engaging that stimulates your cognitive mind then probably this book works well for you. Alongside you will get a lot of exercises on each section that will motivate you to think at a deeper level. Do you know after a lot of effort and practical experience a good percentage of candidates fail to crack the PMI-ACP exam? This is due to lack of proper grooming for the exam. You need to hit in the right area, and smart work is equally necessary along with hard work. No doubt, training makes a difference here from self-study. Though training and sample exams from PMI is a must as part of PMI-ACP Certification Preparation, that is a standard to follow, not a guarantee for sure success. So, training from certified PMI-ACP practitioners unveils many important aspects regarding the exam which we usually don’t get outside. Also, the more you practice with PMI-ACP exam simulators it gives you confidence which is a vital factor to face any exam. Try Top 25 PMI-ACP Practice Questions Now. 1. Submit the application form – Start filling the application form. Once you start the application, you will get 90 days to submit the application form to PMI. However, if you fail to submit the application form within 90 days, the PMI will automatically close the application process in their system. However, you can re-open it in the future. 2. PMI random audit: PMI has a random audit process where they select some applications for the audit purpose. If your application falls under this category, then you have to submit the required documentation for it. Otherwise, no document is asked from PMI as part of the application process. If selected for PMI audit: If your application is selected for audit, then you will be given 90 days to submit required documents. Once they receive the documents, approval takes five to seven days from the PMI end. If not selected for PMI audit: It will take up to ten days from PMI end after the submission of the application form. You can take the examination three times a year. Thinking if PMI-ACP certification is good for your career? Check now that PMI-ACP certification is one of the Top 5 Agile Certifications. PMI-ACP stresses on a candidate’s application knowledge. Hence, practice and think more on scenario-based questions and solutions for them. You are going to be a certified PMI-ACP professional so apply as much as principles and way as guided by PMI when answering the questions. Go through the questions carefully. A small mistake in understanding may lead to choosing the wrong answers. Hence, stress on the words used in the question. Ignore the unwanted information in the lengthy questions and have the focus on the relevant information only. Select only the best possible choice and eliminate the incorrect ones. Hopefully, you have got an overview on PMI-ACP certification preparation by now and the idea on how to achieve it. 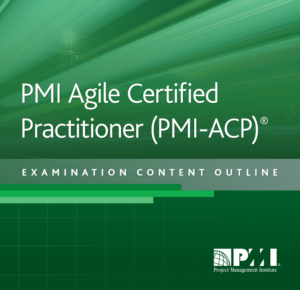 No doubt it’s a big leap to achieve PMI-ACP certification as an agile professional. So don’t compromise with your PMI-ACP Exam preparation and join the most effective training from Whizlabs. To help you with your PMI-ACP certification preparation, we provide you with the online training and practice test series for the PMI-ACP certification. So, join us and get yourself ready to become a certified agile professional.